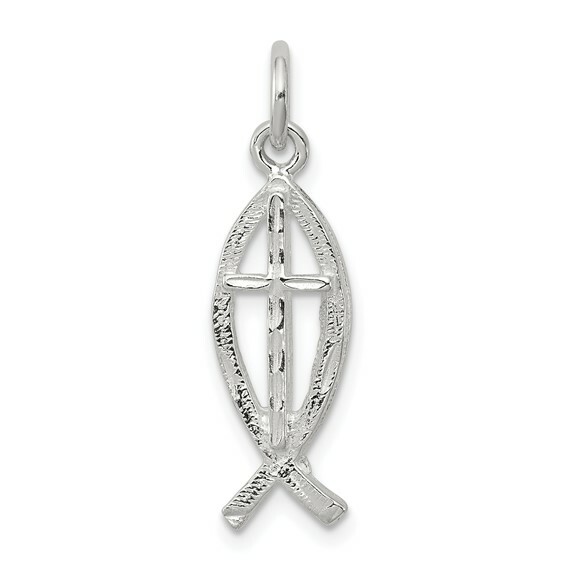 Sterling Silver Ichthus (Fish) Charm. Weight:0.87 grams. In Greek, the initials of Jesus Christ, Son of God Savior spell the word ichthus, fish. Early Christians also refer to Christ's apostles as fishers of men. Measures 3/4 inch tall by 1/4 inch wide without bail.